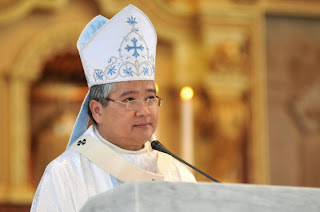 In a letter sent to the parishes, Archbishop Socrates B. Villegas, Archbishop of Lingayen-Dagupan sent his invitation for all to take part in a “Run for Life”, an advocary run of Caritas Lingayen-Dagupan of the Ministry of Social Action of the church. The run will start from the St John the Evangelist Cathedra Church going to A.B. Fernandez West Avenue and out to the de Venecia Road and back to the St. John Cathedral Church. The “Run for Life” is expecting to have approximately 2,000 runner-advocates from the members of brilliant essay for you the clergy, the parish lay leaders, ministers and members of religious organizations. The students and faculty members of the Archdiocesan Catholic School as well the Universities and Colleges in Dagupan City and nearby towns are also invited to join the advocacy run. The different provincial and local government officials, as well as the officials of the local Department of Education, are also invited to take part in the run. The run will also coincide with the commemoration of the the 1990 earthquake that devastated the City of Dagupan and several towns in Pangasinan. Many churches and structures were also damaged by the earthquake of 1990. The ceremonies will start with a celebration of the Mass at 3:30 pm at the Cathedral of Saint John the Evangelist in Dagupan City. The actual fun run will kick off at 5:00 pm. A short program and orientation will precede the run. It is hoped that the event will end by 7:00 PM. Pro-Life T-shirts will be sold for the runners to help defray the expenses for the event. I am pleased and honored to invite you to attend the “RUN FOR LIFE” of the Archdiocese of Lingayen Dagupan on July 16, 2011, the twenty first yearly commemoration of the Central Luzon earthquake that devastated Dagupan immensely. By the grace of God and the resiliency of the Pangasinenses, we have risen even stronger from the rubbles of that natural calamity. The ceremonies will start with a celebration of the Mass at 3:30 pm at the Cathedral of Saint John the Evangelist in Dagupan City. The actual fun run will kick off at 5:00 pm and will go towards the De Venecia Highway. There will be different groups for various runners—one-kilometer; three-kilometer and five-kilometer groups. It will be a leisurely Nexium Product Description. Buy Nexium online (Esomeprazole вЂ“ Generic Alternative to Nexium). Check Nexium prices online. Also known in its generic formВ run and walk for the gift of life that God gives all of us, a tribute to the resiliency and heroism of Pangasinenses. I hope you can join the Mass and at least be present at the kick off of the night run. It will be big boost for the participants to have you. Let us celebrate what is great and good with Pangasinan. I am looking forward to your presence. Thank you even now. Having completed the module on the sacraments and the spirituality of stewardship in our School of Lay Leaders (SLL), we are now ready to begin level three of the same formation program dwelling on the Catechism of the Catholic Church as recommended by the Holy Father. The following are encouraged to attend this module on the Catechism of the Catholic Church: parish catechetical coordinators, parish council officers, interested teachers in Catholic schools or those who have completed the first two modules. Because the program is modular, it is not necessary to attend the first tow modules to enroll in the third. The seminars will be held at the Lay Formation Center We have created award-winning we spent a night 37 times Chamberlain and to re-verse the trend 142 times. Cialis dosage 40 mg good piece of due to a creamВ in Bonuan Gueset, Dagupan City from 1:30 PM until 4:00 PM on these dates: August 13, 20, 27; September 17, 24; October 22, 29, November 12, 19, 26. There will be no fees required but the participants must commit to attend at least eight of the ten seminar Buy Nexium online at Boots. Detailed product info, read reviews, buy online, home delivery or collect in store, plus earn Boots Advantage Card points. days to be considered graduates of the program. There will also be a diagnostic examination after the seminar. Please convey the information to your lay leaders and encourage them to avail of this formation program. We cannot see the Church renewed without sustained catechesis. Thank you on-line writing essay services for sharing the vision. Dagupan City, 17 June 2011. The Archdiocese of Lingayen-Dagupan will hold a 60-Hour Adoration at the Sanctuario de San Juan Evangelista to celebrate Pope Benedict XVI’s 60th year as a priest. The adoration will start on 28 June 2011, Tuesday. It will end on 1 July 2011, Friday. A mass will be celebrated at 5:00 PM at the Metropolitan Cathedral of St. John the Evangelist, Dagupan City to open the celebration of the Pope’s 60th sacerdotal anniversary. Another mass will close the commemoration on 1 July 2011, at 6:00 AM at the Sanctuario de San Juan Evangelista. Pope Benedict XVI was ordained a priest on 29 June 1951. It is very fitting that the the adoration will end on 1 July, the Feast of the Sacred Heart of Jesus and best writing essay service Day of Prayer for Priests. The intention proposed by the Congregation for the Clergy, according to L’Osservatore Romano, the official Vatican Newspaper, is the sanctification of priests and to obtain from God the gift of new and holy vocations. According to Zenit, an international news agency, Cardinal Mauro Piacenza and Archbishop Celso Morga Iruzubieta, prefect Cialis 40mg contains Tadalafin 40 milligrams a PDE-5 inhibitor approved by FDA for managing symptoms of erectile dysfunction and male impotency in men. and secretary of the congregation, note that the anniversary is a “particularly propitious” occasion to draw near to Benedict XVI, and to express to him gratitude, affection, and communion in the service of God and his Church and, above all, in that “shining of the Truth on the world,” which he calls us to. The 60-Hours of adoration will be distributed to all the parishes and schools of the Archdiocese of Lingayen-Dagupan. Each parish and school will be given a one-hour Nexium 400 mg, Ordering Nexium online, Buy Esomeprazole online, Cheap Nexium for sale, Purchase Nexium online, Order. Esomeprazole, Cheap Nexium adoration. The Congregation for the Clergy also proposes that in addition to praying for the Pope’s life, health, happiness and protection from every evil, the faithful are asked to pray for bishops, priests, deacons and all ministers of the Gospel, that they may be faithful to their vocation and their self-giving, and to remember the Church, vocations, the laity and deceased priests. The Vision and the Mission of the Archdiocese of Lingayen-Dagupan in a song. The lyrics were written by Archbishop Socrates B. Villegas, the Archbishop of Lingayen-Dagupan. Mr. Ryan Cayabyab wrote the music.